Somaliland government is readying its plan to relocate to brand new presidential palace. This was disclosed by the minister in charge of public works and housing and the mayor of Hargeisa. The new presidential compound is going to be constructed in Kood Buur village which lies in the north west of Hargeisa, Somaliland capital. The two officials held a joint press statement sent stern warning to the families currently residing in the vicinity the place where the presidential mansion is going to be erected. The mayor of Hargeisa, Hon.Abdirahman Soltelco has said that no one is authorized to build a story building 500 meters away from the compound. The mayor has debunked rumors spread like wildfire where the residents living in the outskirts of the presidential compound had a fellout with the government over the new building. The minister responsible for the public works, Hon. 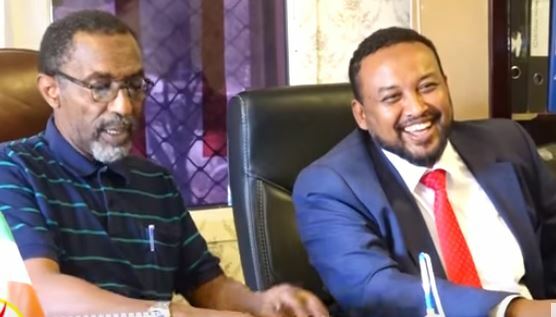 Abdirashid has reiterated that the government will compensate the landlords who were evicted from the land where the new presidential palace will be erected.